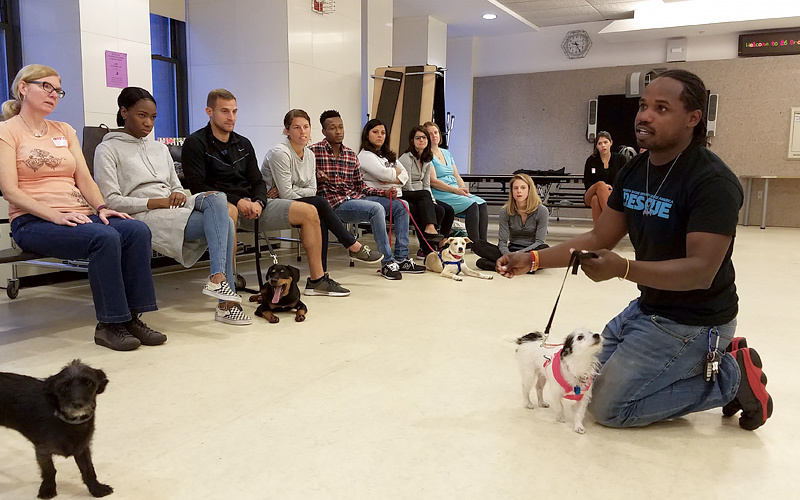 The Mutt-i-grees Curriculum partnered with the NYC Department of Education to develop the Comfort Dog Program, which aims to place rescue dogs in schools to provide emotional support for students and faculty alike. We host group trainings for new dogs to the program as well as monthly meetings to share success stories and innovative ways to implement rescue dogs into the school environment. We are planning our upcoming visits. Check back soon for dates and locations.